Our main problem is turning these DNA data into useful information. Finding genes and other functional genomic element, characterizing them, understanding their function and their impact on Life – all these are challenges that will remain with us for a long time, and which have revolutionized biology into the information science it is today. Before all that, science is a collaborative endeavor. To collaborate, scientists need to exchange data, including sequence data. But when the the flood of data is very hard to channel into the narrow Internet tubes. We need to compress these data. There are generic compression software – zip, gzip and bzip2 come to mind. 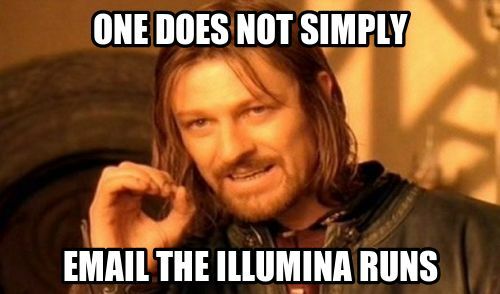 However, could we do better with a solution tailored to DNA? After all, we are talking about a string taken from a four-letter alphabet, with many repeats made. So the Pistoia Alliance announced a $15,000 prize for “putting forward a prize fund of US$15,000 to the best novel open-source NGS compression algorithm submitted before the closing date of 15 March 2012.” The paper describing the competition recently came out in GigaScience. (Which is why I am hearing about this only now). The winner of the first (and, as far as I can tell, the only) round of Sequence Squeeze was James Bonfield from the Sanger Institute. You can read more about Sequence Squeeze in the Pistoia Alliance’s blog and in the paper. Categorized under: Bioinformatics, Genomics, Software. 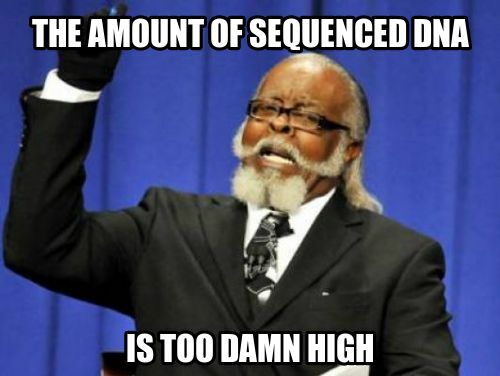 Tagged with: Bioinformatics, competition, genomics, nextgen sequencing, sequence squeeze. Byte Size Biology is licensed under a Creative Commons Attribution-Share Alike 3.0 Unported License. Lively discussion: how to cross-validate? How much do cows offset wind energy savings? Predicting protein function: what’s new? Leighton Pritchard on Lively discussion: how to cross-validate?